If your bathroom must be renovated to improve safety and accessibility for you or a loved one, a few simple fixes can take care of any necessary home safety modifications. From full shower upgrades and renovations to basic safety accessories, consider the ways you can improve the bathroom experience for your home’s residents and visitors. One of the most versatile home safety modifications is the shower chair. From permanent benches to foldup styles that either attach to the wall or stand alone, there’s a solution for any shower. Shower chairs provide a comfortable seat for those who cannot stand independently or are at risk of falling. There are also wheelchair transfer kits available for easy, safe movement between the wheelchair and the shower seat. Another easy-to-install home safety modification is a set of handrails. 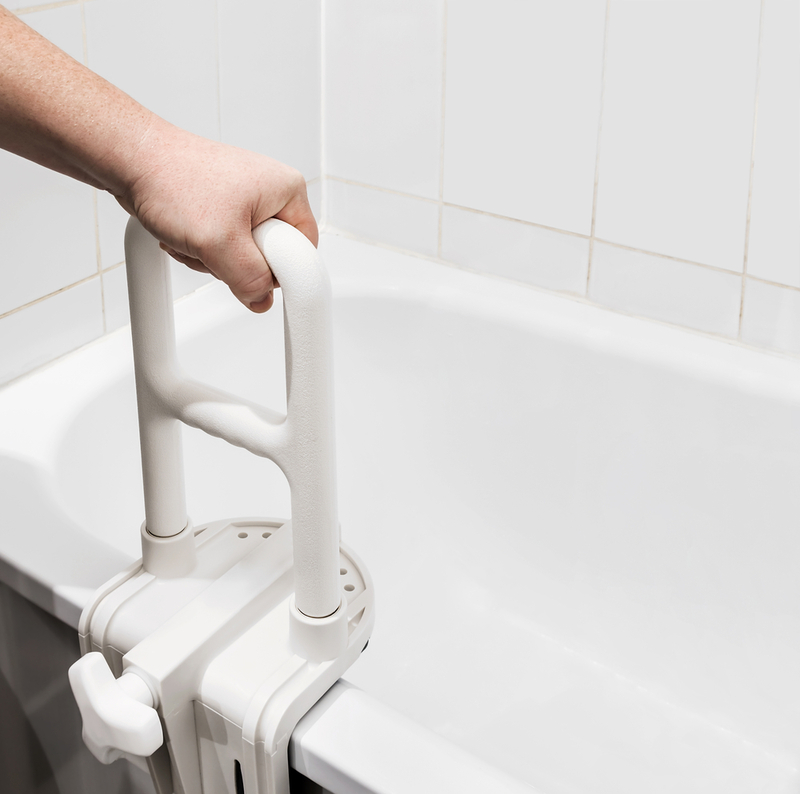 Also called grab bars, they can be added to any location to make moving around the bathroom more secure. Typically they are placed in the shower or tub as well as near the toilet. They can be added to any wall to make entering and exiting safer, and are available in different styles and colors to match your bathroom’s décor. Curbless showers eliminate the barrier that one would typically need to step over to enter the shower. Also called roll-in showers, these are particularly helpful for loved ones in wheelchairs, making it easy for them to get into the tub and transfer to their shower seat without the obstacle of a ledge. Similar to the curbless shower, walk-in bathtubs do not have a ledge over which to step, and instead allow individuals to simply walk in and sit on their bench, closing a door behind them. Water is kept inside by secure seals around the door, and users can sit, stand, or even recline for better comfort. A handheld shower head is the perfect accessory to make bathing easier, no matter the style of your shower or tub. No standing is necessary, and bathers can simply move the head around to cleanse every area of their body thoroughly. Handheld showerheads also add a level of independence for each household member. For the Cincinnati area, Affordable Handyman is the home repair service to call when you need help around your property. From small jobs to larger renovations, the team provides reliable maintenance and repair options that run the gamut, including plumbing, gutter cleaning and repair, painting, and roof repair. They are also available to help you update any bathroom with home safety modifications to make your property accessible to the whole family. Visit their website for a complete list of services or call (513) 851-9333.